Family Guidance Center of Alabama has been serving the needs of families in Alabama since 1959. Each year the agency’s many programs and services touch the lives of over 20,000 families throughout Alabama. These services would not be possible without the financial support we receive from the caring individuals, families, and organizations that share our vision and mission of helping to strengthen families. 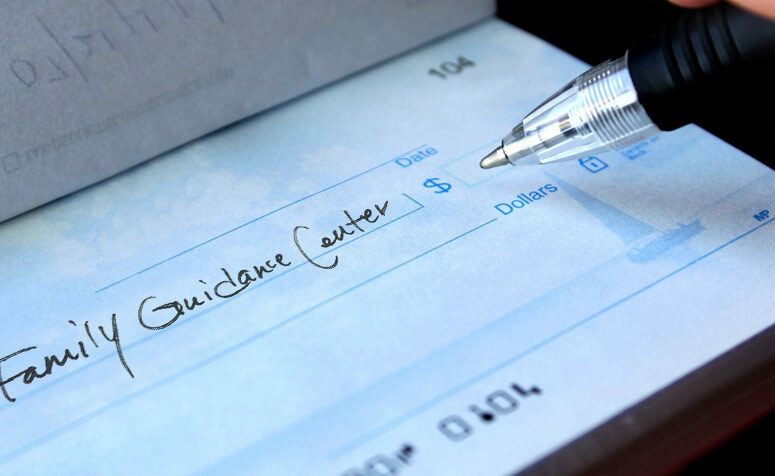 If you would like to make a donation to the Family Guidance Center of Alabama, it will help our organization continue to serve children, seniors and families in need throughout Alabama. Donations to the agency can be made in many forms including cash, stocks, bonds, insurance, and property. Property may include furniture, computer and electronic equipment, other household items, and real estate. All donations are fully tax deductible as allowed by law. The agency also accepts car donations. Donated cars are serviced and inspected to insure their road worthiness and then the cars are then given to needy families to help them overcome their transportation obstacles. If you wish for your contribution to be directed to a specific program or location please share that with us. Thank you for caring and sharing. Family Guidance Center encourages support of the Children’s Trust Fund of Alabama by purchasing a CTF automobile tag to help support Child Abuse and Neglect Prevention in Your community. Learn more about this tax-deductible contribution to the Children’s Trust Fund of Alabama.